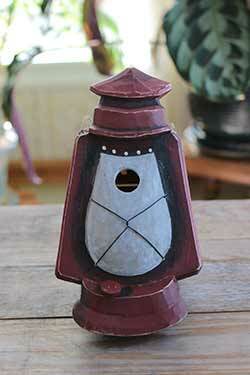 Bird houses and feeders to welcome your feathered friends to your home! We have an ever changing seasonal variety of hanging bird houses, tabletop bird feeders, garden stakes with feeders and bird houses, and more! Made of hand crafted wood & resin. Ventilation & drainage holes, and deep nesting chamber with 1 1/8 inch entry-hole. 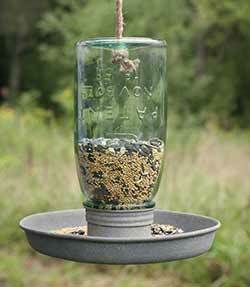 This hanging mason jar is for the birds! 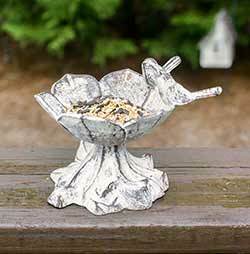 Features a distressed metal tray much like a chicken feeder, perfect for bird seed! 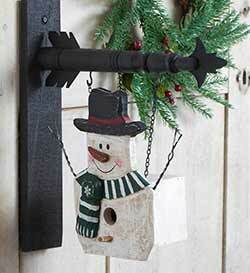 Give your country home holiday charm this winter with this snowman arrow replacement, which doubles as a birdhouse! SPECIAL ORDER.